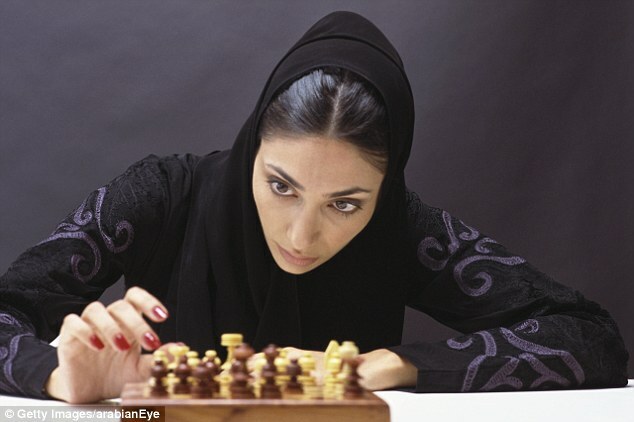 A female chess player in Dubai is pictured playing chess while wearing a hijab (File Photo). A female Indian chess player said Wednesday she has decided to not participate in an Asian championship being held in Iran next month because she could not comply with an Iranian rule requiring women participants to wear a headscarf. Soumya Swaminathan, a former world junior girls champion, said she found the Iranian law to be in direct violation of her rights and the only way to protest that was to not go to Iran.